What is the Everlast Lab? The Concept: With over 100 years of experience in the boxing industry, Everlast sought a way to give back to the New York City community that originally gave birth to the company. Boxers, trainers, and casual fitness enthusiasts alike clamored for a multi-purpose facility where they could exercise using Everlast’s state-of-the-art equipment. 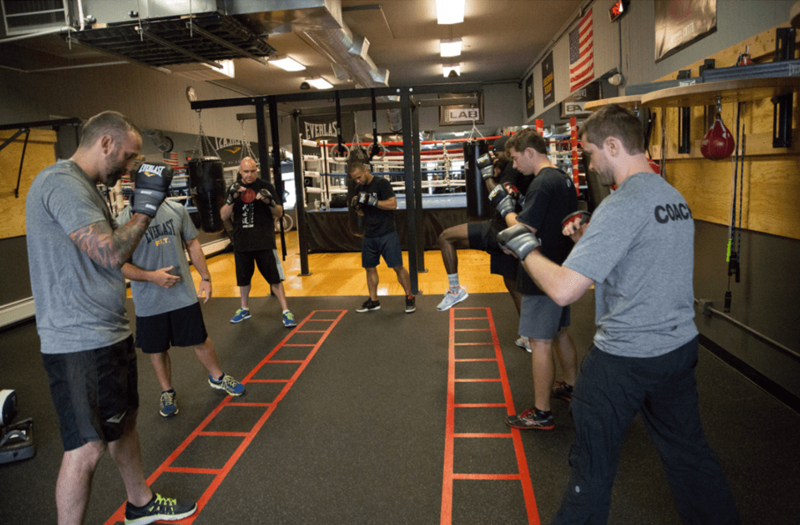 Recognizing the health benefits of a full body workout that combines the rigors of traditional boxing with innovative bodyweight training, Everlast created a one of a kind conditioning space named The Lab. The Lab: The Lab, located across the Hudson River in Hoboken, New Jersey, gives individuals of all fitness levels the unique opportunity to train through a blend of fight sports (mitt and heavy bag workouts) and next-level strength and stamina exercises (kettle bell, core workouts, etc.) that promise a challenging, result driven routine. With self-taught, personal training, and group classes available, The Lab offers unparalleled access to train in a way most comfortable to you. The distinctive group of experienced industry professionals, from world-class boxers to fitness gurus, is there to guide you through a variety of rigorous exercises in their personally constructed classes. These group exercise sessions are a favorite at The Lab and keep those in search of the best workout possible returning for more. Fitness Evolved: Despite the growing popularity of fitness fads such as CrossFit™ and cycling classes, Everlast remains true to its boxing core while continuing to push the envelope with its Fitness Evolved concept. No longer does simply running on the treadmill constitute a workout, but rather an intense combination of strength and conditioning training is needed in order to achieve one’s fitness goals. The experienced team at The Lab instills this ideal of hard work into everyone who trains at the facility. Whether you’re a world class fighter sparring inside of The Lab’s boxing ring or a fitness newcomer doing plyometric exercises to strengthen your core, Everlast’s Lab and its fundamental belief in Fitness Evolved will make you a better individual both inside and out. The Lab is open to all fitness and fight sport enthusiasts looking to step up their workout game. For more information, email info@everlastlab.com, and visit www.everlastlab.com.